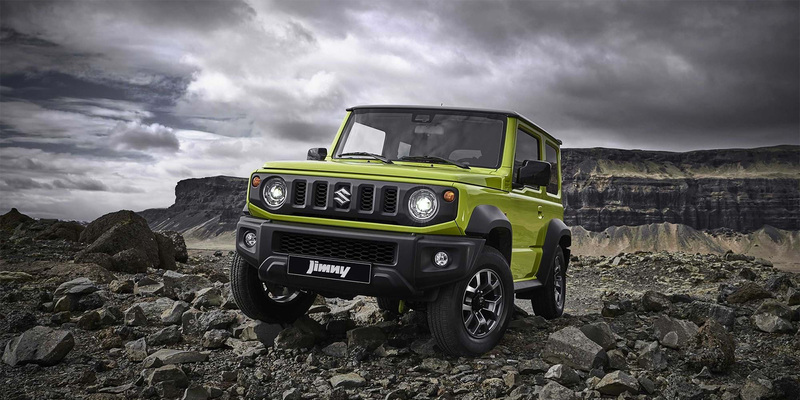 Recognisable by its quirky and rugged appearance, the new Suzuki Jimny is the ideal choice for off-roading. Crafted with impressive features, this model is robust for unpredictable terrain, yet nimble enough to take you on smaller tracks. The range includes the SZ4 and SZ5, both complete with useful technology and design features that you'll want to learn more about. The new Suzuki Jimny, the robust off-roader is available now from Motorparks Suzuki and Invicta Motors Maidstone Suzuki. There's a reason that the Jimny is catching the eye of off-roading professionals and it's all down to its unrivalled features. You'll be pleasantly surprised at what this model can tackle, considering its compact size, and it won't let you down in a range of situations. Fitted with a 1.5 litre engine and powerful torque, the performance of the Suzuki Jimny won't let you down. The vehicle also features a part time 4WD system with low range transfer gear which is ideal for rough terrain and steep inclines. The Jimny has a desirable retro feel to it, the quirky angles and overall features of the car give it a quirky edge that's different to other off-roaders. The lightweight model offers more than you'd expect from a compact vehicle. For starters, the overall size of the car means that you can travel across tracks and steep slopes where a larger 4x4 would struggle. There's no denying that the body has been designed for optimum driving performance in the toughest of situations. The boxy bonnet of the car means that visibility is at its maximum, giving you the chance to prepare for obstacles and bumps in the road ahead. To bring you ultimate road grip, cutaway bumpers give you great ground clearance and a full-size spare wheel comes as standard. Take a seat inside the Jimny and prepare to be impressed by the sleek black interior. Suitable for operating with gloves, the controls have been carefully designed for optimal operation and the low range gearstick transitions from one setting to the next with smooth movement. You won't believe the amount of luggage space that this small rider boasts either. Fold the rear seats to create a 377-litre flat area for transporting baggage to your next adventure. Safety is key when it comes to the technology inside the Jimny. With lane departure warning signals, hill hold control and dual sensor brake support, you'll wonder why you ever lived without one. Just because you're off-road doesn't mean that you can't ride in comfort either. Complete with heated front seats, rear privacy glass and a navigation system, the Jimny really is a stand out from the rest. Your car isn't your own without adding your own touches. Choose from a range of sleek colours and add your own configurations by deciding between the SZ4 and SZ5. Find out more about the versatile and robust Suzuki Jimny by visiting us at our Invicta Maidstone Suzuki dealership - part of the Motorparks family or enquire online today.